Martin Penicka studied with Lois Simpson and Julian Smiles at the Australian Institute of Music. He graduated in 2002 with the degree of Bachelor of Music (Performance) with first class honours. During his studies, he played in many chamber ensembles, most notably with the award-winning Con Brio Trio. In 1999 Martin Penicka took part in a tour to the USA organised by the Performing Arts Unit to complement the Art Express exhibition in the Corcoran Gallery, Washington DC. A solo artist in the Symphony Australia Conducting Program in 2001, Martin Penicka has been a casual member of the Sydney Symphony Orchestra. He was a semi-finalist in the 2004 Symphony Australia Young Performers Awards and the 2MBS FM Young Performers Award. 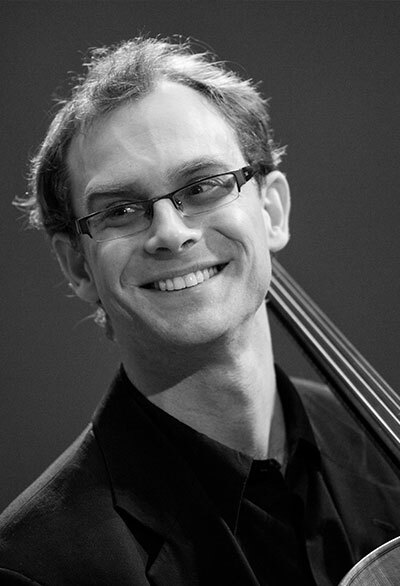 Martin Penicka has been an ANAM Academy Musician at the Australian National Academy of Music.In 2006 and 2007, Martin was involved in the Sydney Symphony fellowship program. Martin joined the TSO in August 2008. Martin regularly plays in chamber music ensembles around Tasmania including the newly formed baroque ensemble Van Diemen’s Band. He has appeared on several ABC classic FM Sunday Live Broadcasts.